Enzymes are used to reduce mix times, increase oxidation and improve machinability in baked goods. Enzymes are protein catalysts found naturally in biological sources. Each one has a unique macromolecular three dimensional structure, making them specific to one particular substrate, facilitating one unique reaction. A 3D structure of Human salivary amylase. 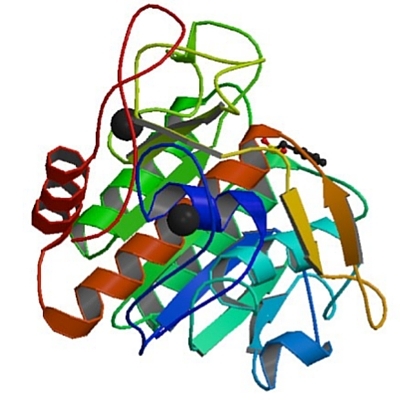 A 3D structure of Aqualysin (protease). The word is derived from the Greek word ‘En-zyma’ (enzumon) meaning ‘in yeast.’ Naturally present in all biological systems, they can be selectively isolated from plants, animals and microorganisms. The addition of enzymes to formulations in the baking and flour industry began during the 1960s or 1970s. In the baking industry, the two most common sources of enzymes are wheat flour and yeast. 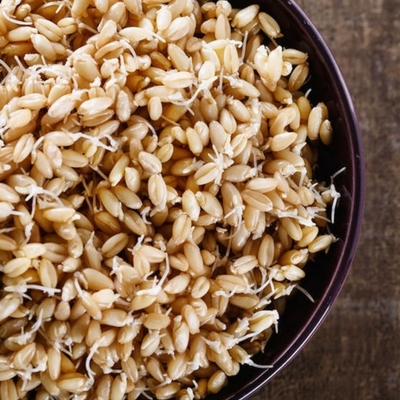 In wheat flour, there is generally a higher level of beta-amylase versus alpha amylase.5 Diastatic malt is a natural source of (alpha-amylase) enzymes produced through germination of barley wheat. Others are produced from bacteria or fungi sources through a fermentation process. Enzymes are substrate specific. This means a certain enzyme is shaped so it will only work on a specific substrate. For example, alpha-amylase will only hydrolyze starch molecules and completely ignore protein and lipid molecules. Providing good working conditions will help them function properly in a bakery system. 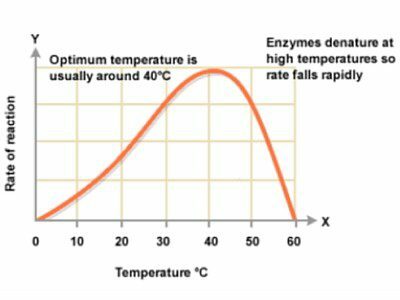 The most important parameters to take into account when using enzymes are pH, temperature and time. They function best in the range 30oC to 40oC (86oF to 104oF) and are usually destroyed at temperatures above 45oC (113oF). Cellulase – breaks cellulose fibrils into smaller/shorter units. Degradation of cellulose by these enzymes aids in absorption of water, especially when using whole grain. Cellulase can improve machinability by drying dough. Protease – converts large protein molecules to smaller amino acid chains. Proteases can breakdown gluten proteins in overly strong or high-protein flours. This can improve sheeting and machining in products like crackers. Transglutaminase – builds cross links between glutamine and lysine. This cross-linking of amino acids helps strengthen the gluten matrix, and in turn, provides improved volume and stability to breads. Oxidative Enzymes (Glucose Oxidase, Peroxidase, Lipoxygenase) – catalyzes the substrate to create natural oxidation which increase disulfide bridges to strengthen gluten matrix and dough. Provides similar function as ascorbic acid, and is a key ingredient for replacing azodicarbonamide (ADA). Asperaginase – hydrolyzes asperagene resulting in the reduction of acrylamides a potential carcinogen. Stable cost – Enzyme costs have not increased much over the last 10 years. This is in contrast to the increasing costs of emulsifiers that is dependent on tight oil markets. Stabilize flour quality – They help improve and/or stabilize the variation in wheat quality and can improve rheological parameters. Depending on the climatological conditions and types of flour, the flour characteristics can be very different. Clean Label – Since enzymes are deactivated during the baking process, they are considered as a ‘Technical aid’ in the bread manufacturing. If they are denatured in the baking process, they usually don’t have to be labelled on the final product. The enzyme remains present in the final product as a non-active denatured protein and does not have an activity in the final bread. Texture – Enzymes can improve the texture parameters of the final bread application. They can make the bread crumb softer, moister and more pleasant to eat. Ease of Use – Enzymes are very easy and safe to use in dry ingredient formulations. They remain stable for long periods of time. Flexibility – Various combinations give ingredient formulators great flexibility. Shelf Life – Enzymes can contribute to increasing the shelf life of the final product. Flour containing the enzyme, α-amylase, when obtained from the fungus Aspergillus oryzae, is GRAS regulated by FDA in article 21CFR137.105 of the Code of Federal Regulations. Malt (contains α-amylase and β-amylase) from barley to hydrolyze starch is GRAS regulated by FDA in article 21CFR184.1443 of the Code of Federal Regulations. Linko, Yu-Yen, Päivi Javanainen, and Susan Linko. “Biotechnology of bread baking.” Trends in Food Science & Technology 8.10 (1997): 339-344. Ramasubbu, N., et al. 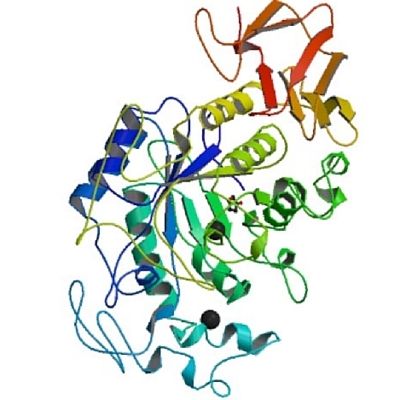 “Structure of Human Salivary alpha-Amylase at 1.6 Ã. Resolution: Implications for Its Role in the Oral Cavity.” Acta Crystallographica Section D Biological Crystallography, vol. 52, no. 3, 1996, pp. 435–446., doi:10.1107/s0907444995014119. Almeida, Eveline Lopes, and Yoon Kil Chang. “Influence of Different Enzymes during the Frozen Storage of Pre‐Baked French Bread Elaborated with Whole‐wheat Flour.” Journal of Food Processing and Preservation 38.3 (2014): 737-748. “Food Enzymes.” European Food Safety Authority, February 6 2014, www.efsa.europa.eu/en/topics/topic/food-enzymes. Accessed on May 23 2018. Elms, J., E. Robinson, H. Mason, S. Iqbal, A. Garrod, and G. S. Evans. “Enzyme exposure in the British baking industry.” The Annals of Occupational Hygiene 50.4 (2006):379-384. “Enzymes and Aerobic Respiration .” BBC Enzymes and Aerobic Respiration, BBC, 2014, www.bbc.co.uk/bitesize/standard/biology/investigating_cells/enzymes_and_aerobic_respiration/revision/5/. Accessed on May 23 2018. Laurikainen, Taru, Helena Här Akönen, Karin Autio, and Kaisa Poutanen. “Effects of enzymes in fibre‐enriched baking.” Journal of the Science of Food and Agriculture 76.2 (1998): 239-249. Amos, A. J. “The use of enzymes in the baking industry.” Journal of the Science of Food and Agriculture 6.9 (1955): 489-495. Gerits, Lien R., Bram Pareyt, Karolien Decamps, and Jan A. Delcour. “Lipases and Their Functionality in the Production of Wheat‐Based Food Systems.” Comprehensive Reviews in Food Science and Food Safety 13.5 (2014): 978-989. Benejam, Walter, María Eugenia Steffolani, and Alberto Edel León. “Use of enzyme to improve the technological quality of a panettone like baked product.” International Journal of Food Science & Technology 44.12 (2009). “Enzyme Preparations Used in Food (Partial List).” U S Food and Drug Administration Home Page, Center for Biologics Evaluation and Research, 4 Jan. 2018, www.fda.gov/Food/IngredientsPackagingLabeling/GRAS/EnzymePreparations/default.htm. Accessed May 23 2018. Please sign up in the pop-up windows for our technical newsletters.